Releasing a stranded octopus - The Chicken Coup - Chickensomething What Are You Afraid Of? Recognizing that the octopus was clinging to life, the man took a clean plastic cup, filled it with water and gently scooped up the stranded octopus. Then he went into shallow water and tenderly scooched the octopus out of the cup and back into the ocean so as not to cause it any harm. The man patiently stood there, watching it begin to creep itself back to its natural habitat – quite grateful that it had been saved. Within seconds, the octopus began breathing and wriggling around, blinking its big eyes. But then the octopus did something shocking. 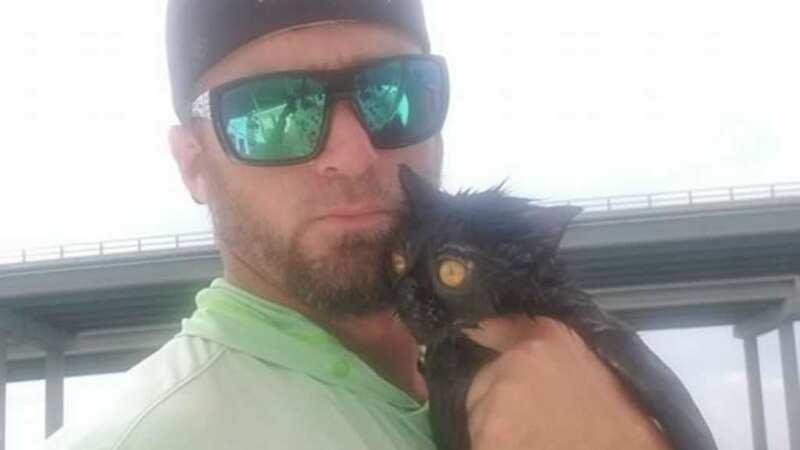 A Florida charter boat captain couldn’t believe his eyes when he saw a creature falling from a bridge.